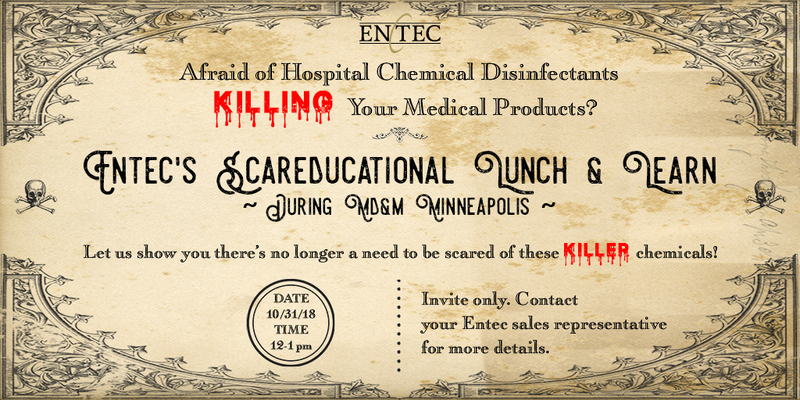 Afraid of Hospital Chemical Disinfectants Killing Your Medical Products? Let us show you there’s no longer a need to be scared of these killer chemicals! Reducing the incidence of Healthcare Associated Infections (HAI) by sterilizing medical equipment with today’s caustic chemical disinfectants has created a need to rethink this critical material selection. These chemical disinfectants attack molded-in stresses, causing cracking, crazing, loss of impact strength and eventually premature device failures. Entec will review a portfolio of clear and opaque chemically resistant material options, including drop-in replacements for existing molds – all with supporting ESCR data.